Hello, and welcome to Multilingual Communications Corporation. We are a customer-responsive, professional translation company with four decades of experience providing precise technical, medical and legal translations for U.S. businesses in all the commercial languages. Thank you for your interest in our services. To find out more about how we can serve you and to request a quote, contact us today.We'll provide you with a free consultation. Trust us to be accurate. Trust us for price. Trust us for on-time delivery. 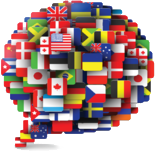 Contact us today for a free translation consultation.